This is a rare commemorative cover for the memory of Saint Marton on a glass painting. 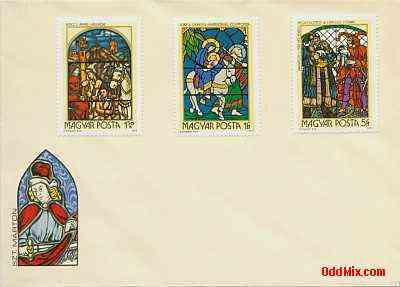 The complete set is on two envelopes. See the other envelope here. This hard to find stamped commemorative envelope 2 is a must for serious collections. First come first serve, only one Special Commemorative Stamped Envelope available!